Sometimes we struggle to put art and copy together to create the best communication possible; to get our point across and, of course, to sell something. We seek art that is captivating, makes a bold statement and uses as few words as possible. It’s either my Earnest Hemingway mentality of getting a sentence down to as few words as possible or my billboard mentality. If you cant say it in seven words or less, don’t bother. Pint ads are that way too. Here’s a design I found that I thought was brilliant. 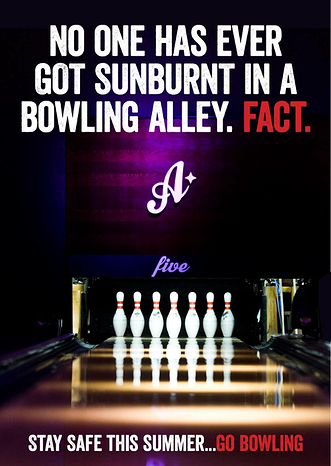 Although I might have used a human being with a painful sunburn. It makes a point in a way that is really different and attention getting. Or a tag for every summer flier you develop. And as a stand alone, it rocks.